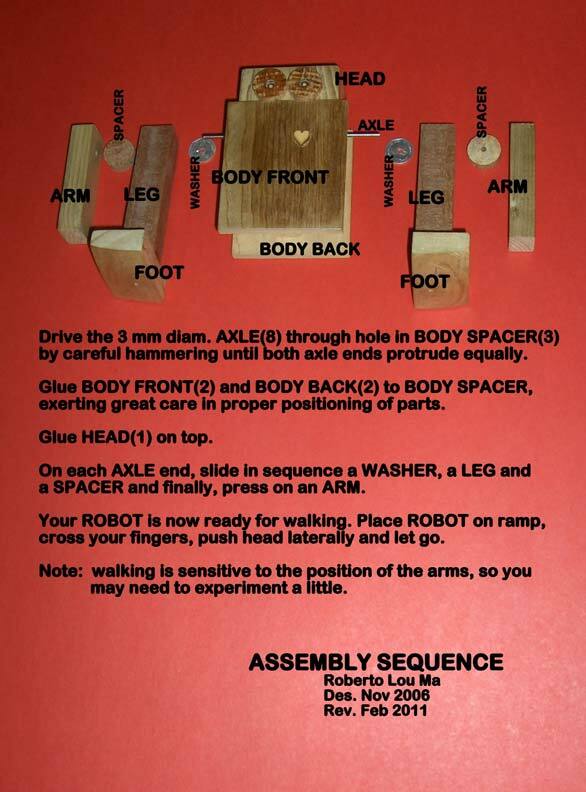 Exclusive: The Automata / Automaton Blog is pleased to present this set of free mechanical toy plans for a ramp-walking wooden robot! Roberto Lou Ma previously shared plans for making a ramp walking rhinoceros. 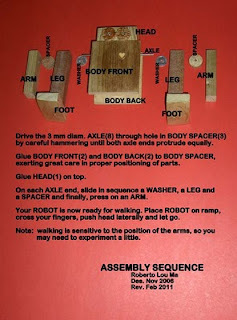 He has once again graciously supplied us with a set of instructions and images, this time showing how to make a ramp-walking wooden robot like the one in the video above. Click on each of the images below for full-sized plans and patterns. Download these to your computer or print them directly from your browser window (being sure that they are at full size). 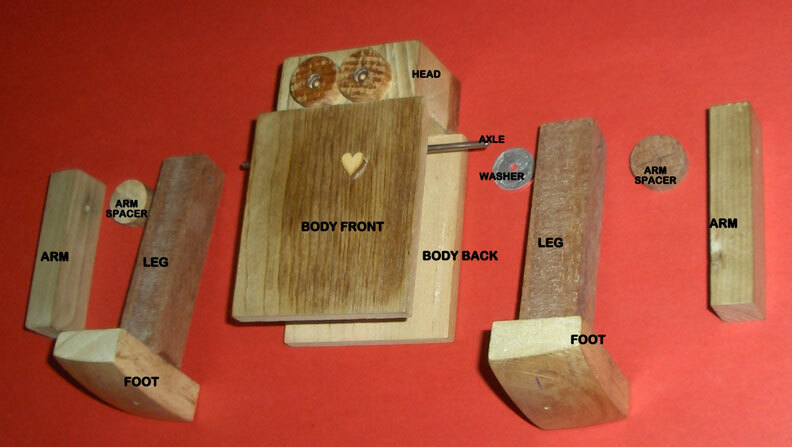 Many thanks to Roberto Lou Ma for this excellent set of mechanical toy plans! Check out more cool creations by Roberto Lou Ma on his YouTube channel.